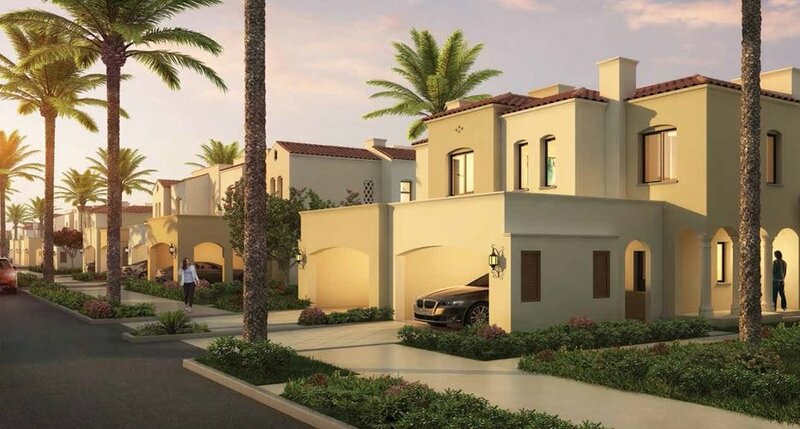 Serena Casa Viva by Dubai Properties located at the heart of Dubailand offers 2, 3 & 4 bedroom Townhouses with an attractive payment plan, elegant Floor Plan, convenient Post Handover Payment Plan and its anticipated handover on Q3-2020. 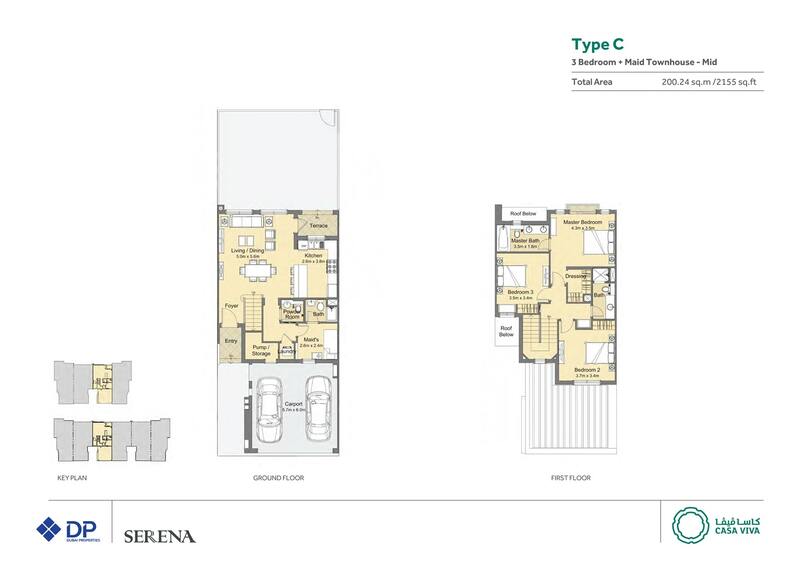 It is designed in Portuguese theme style with innovative development ideas making one of its kinds in the Serena community. The Finest Mediterranean way of life with best-in-class facilities has made it one of the most desirable developments in Dubai. 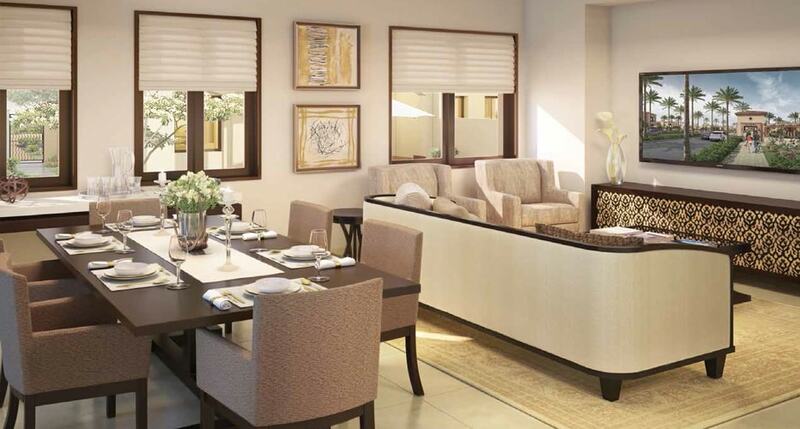 It is a pleasant family centred community which offers tranquil natural vistas and eye-catching features. 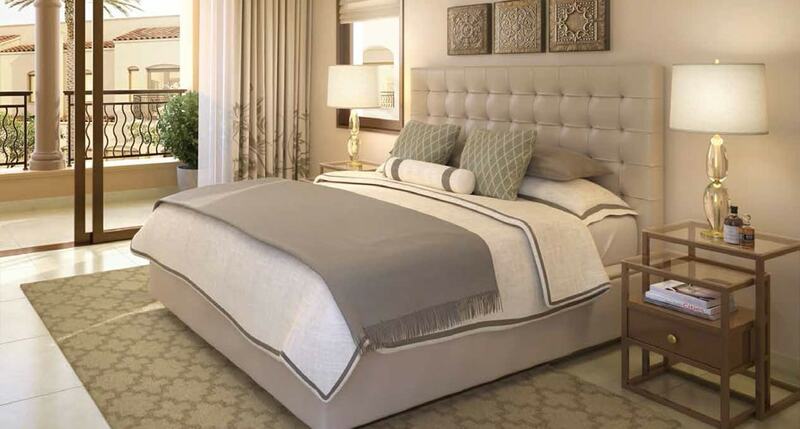 Wake up to the vivacious grasp of a lively and fiery way of life in the midst of a community of spacious homes with unique architecture in a peaceful environment. It is flushed with luxurious amenities and features where one can be inspired by looking at its infrastructure design and style. 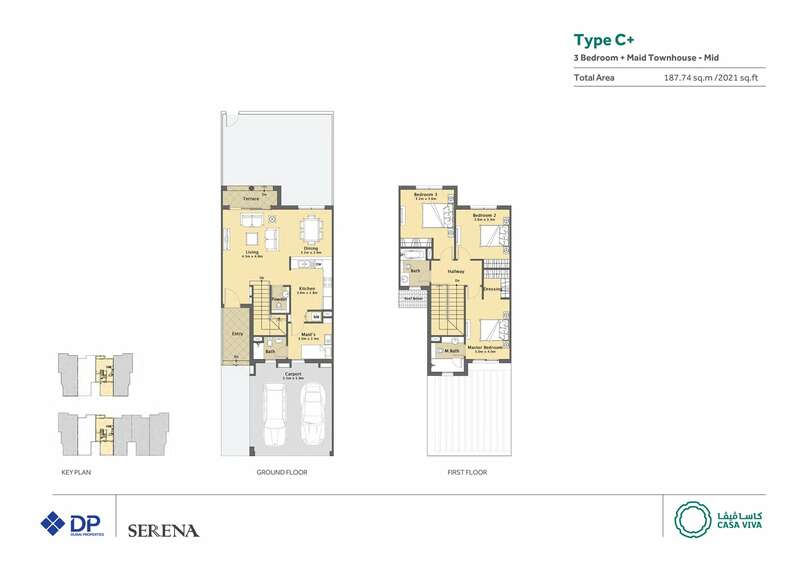 The development is fitted with all kind of complements of lifestyle facilities from swimming pool to the fitness centre where you can enjoy with its natural environment built for a healthy lifestyle living. You can also enjoy the lush green landscape garden and parks situated all around the location making a healthy co-space living. 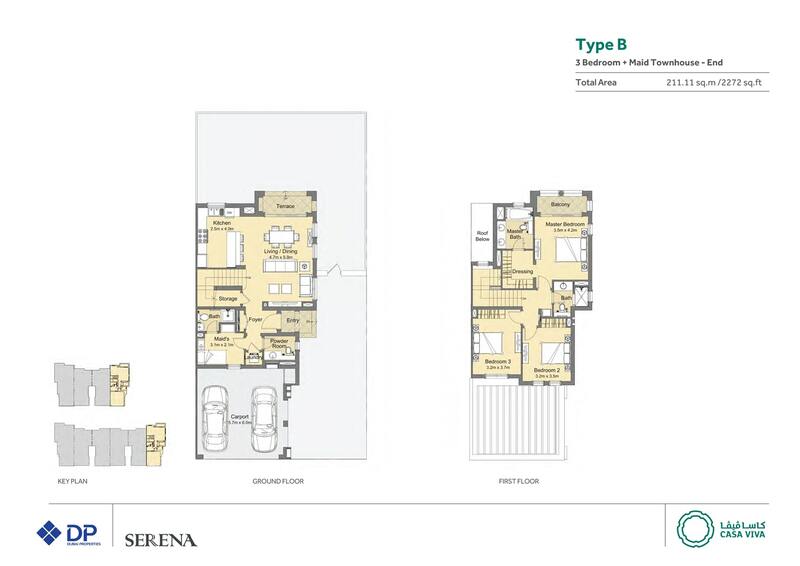 These Townhouses are located in the rising community of Serena which is already catering to many such high-scale properties. 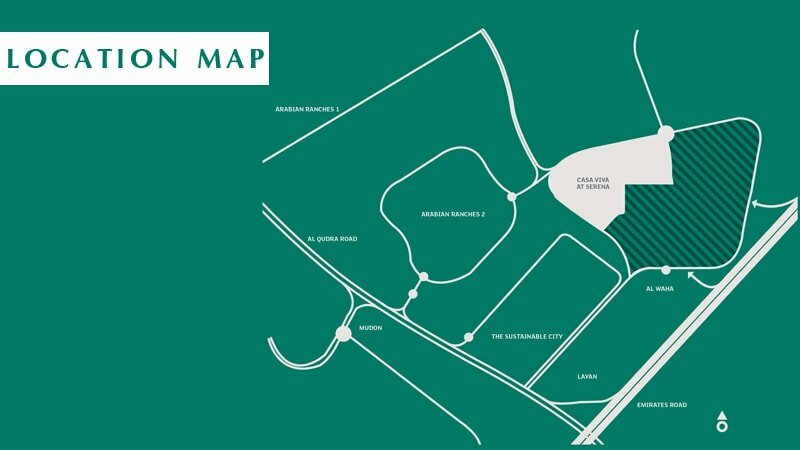 Due to the centric location of Serena, it has a direct approach to Academic City Road, Emirates Road, and Al-Qudra Road, the most important boulevards of Dubai connecting almost every part of the city. 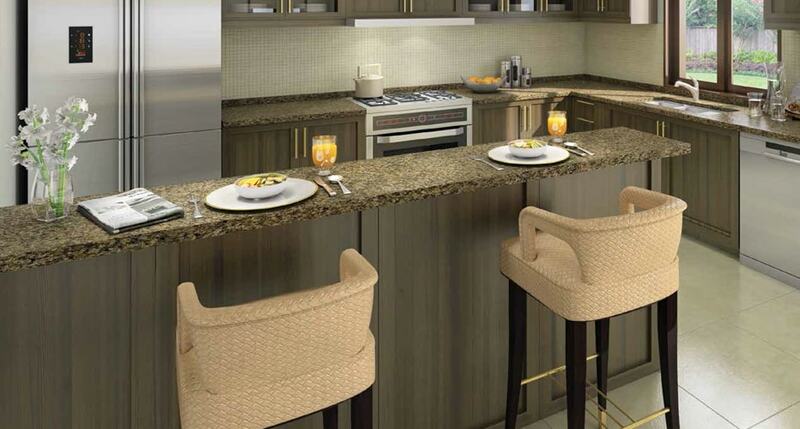 The entire region is well-developed and made for a modern lifestyle enjoyed with the ultra-luxury amenities. Residents will enjoy the balance and unconditional facilities of conveyance through buses, metro, rail, and other alternative means of transport. 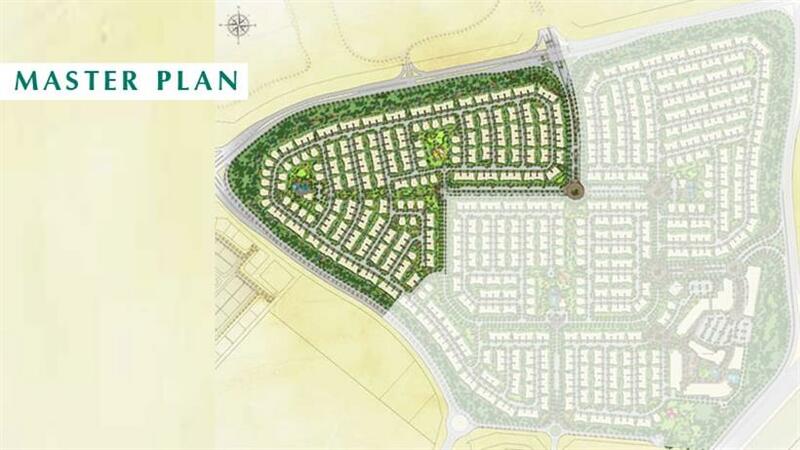 It is a Well Master-planned community set up in the amazing landscape of Dubailand. 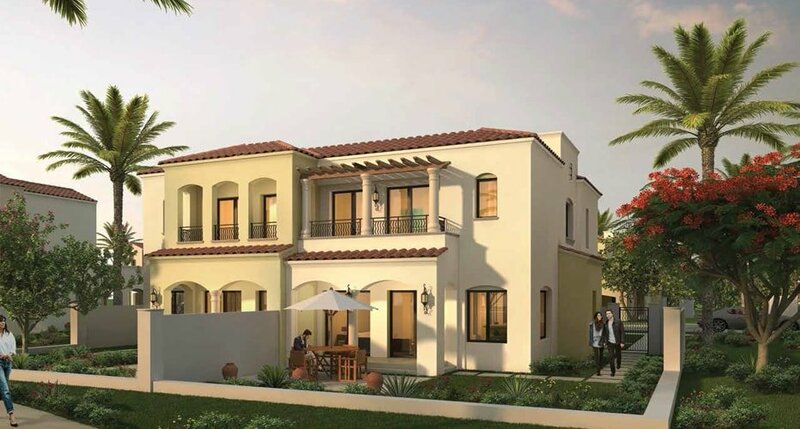 After the successful launch of Bella Casa and Casa Dora, Dubai Properties has planned to embark upon terrestrial outreach with this stupendous residential project. 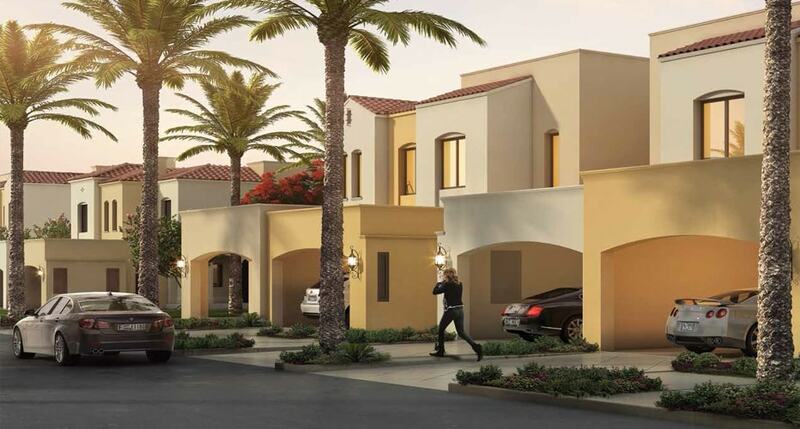 The community of Dubailand is known for its accomplished facilities and ultra-luxury comfort. It is already catering to the classic populace of Dubai enjoying a celebrated lifestyle in its cosy ambience. 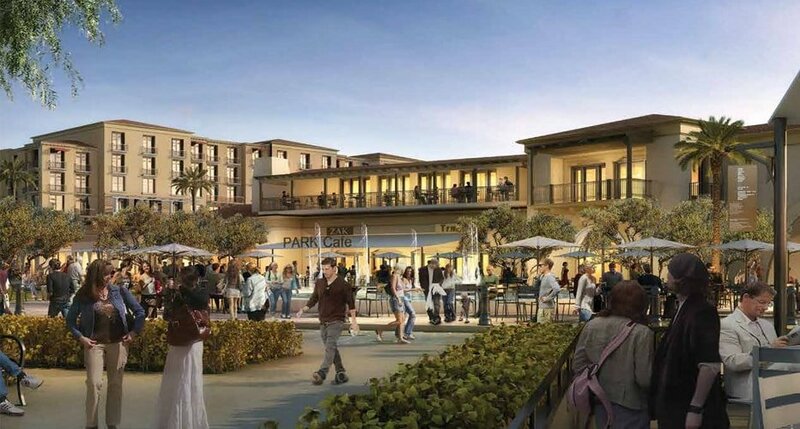 It is indulged with facilities like retail outlets, school, nurseries, shopping centre, office spaces, entertainment amusements, and much more. The entire project is encompassed with extra greenery, paved pathways, and green trees incepted around the places. 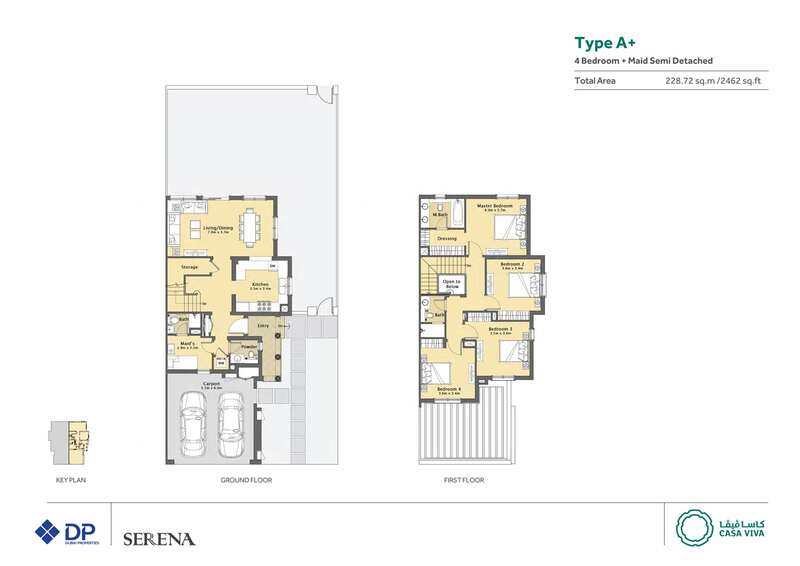 It has a spacious floor plan option for the residents with an option of 2, 3 & 4 bedroom units. 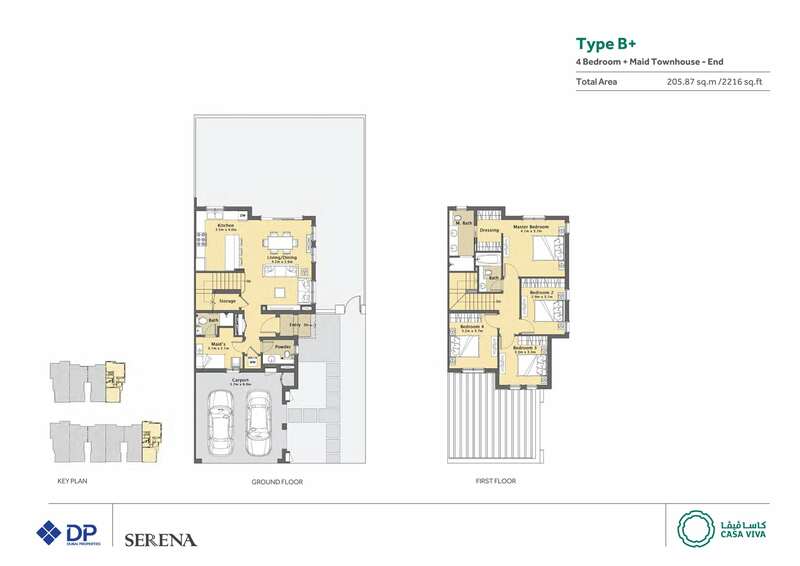 The unit size varies from 1877 to 2569 sq. 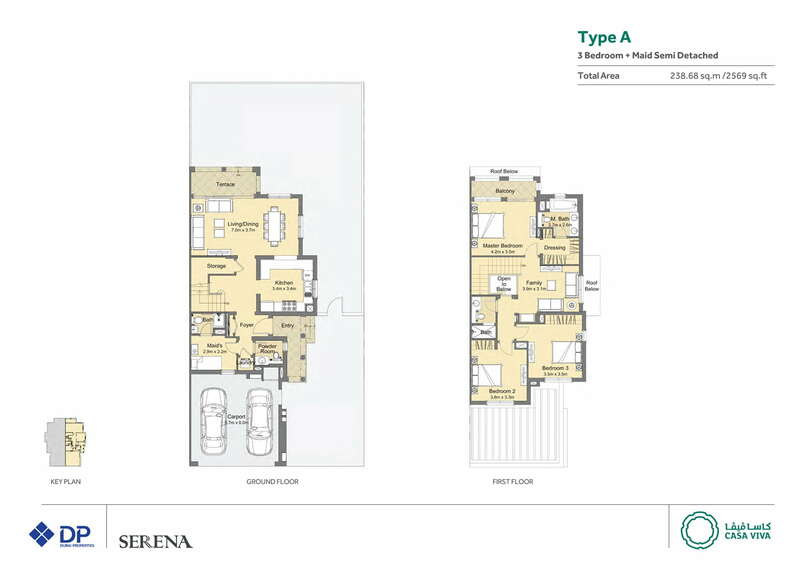 ft. of the area with spacious master bedroom choices available giving a wide option to choose from. 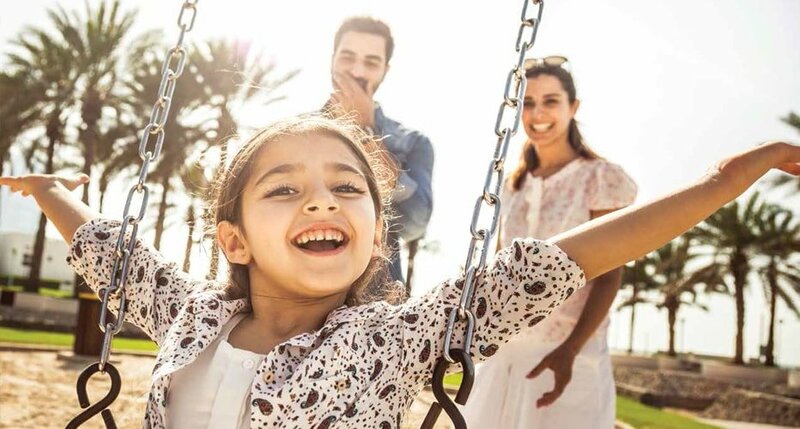 The Payment plan option for these homes is very flexible and affordable for home buyers, looking to invest in this community of Dubailand. 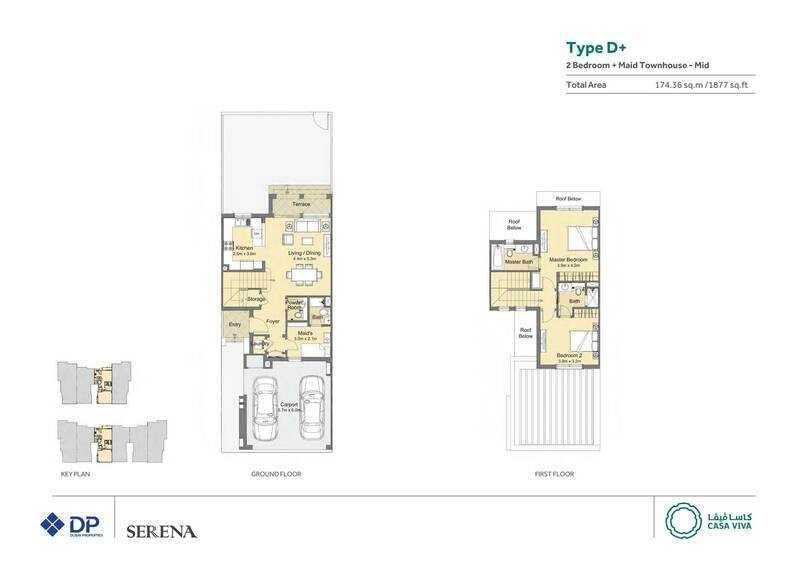 The Buyers have to pay 5% of amount as a booking option at the time of purchasing property and 15% payable during construction with 5% on handover property and remaining 75% payable after the handover.